The family finally realized they had to let him go. It's hard to imagine how Sii, a pig-tailed macaque in Laos, passed 12 years caged up as someone's pet, but one thing is for sure: His whole life just changed. 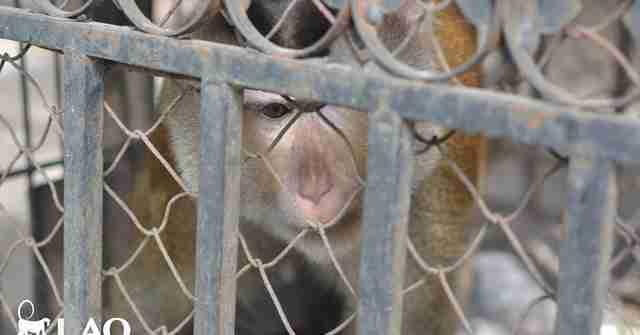 Rescuers from Laos Wildlife Rescue Center (LWRC) arrived earlier this month to break him free of his cage. And it's because the family who was keeping him captive finally realized they had to do what was good for him. "Sii had been kept as a pet for over 12 years by a family who loved him dearly but now realized both [they] and Sii needed help to resolve the situation they found themselves in," LWRC wrote. Sadly, Sii's plight isn't uncommon. 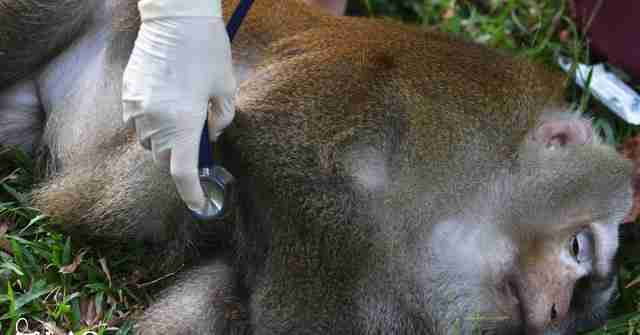 Even though it's illegal, macaques are often kept as pets throughout southeast Asia. "Their 'cute' looks as babies are often what makes people believe this is a good idea, however as babies grow up they often become difficult or aggressive as it is not in their nature to be kept inside a house or locked away in small cages," LWRC explained. 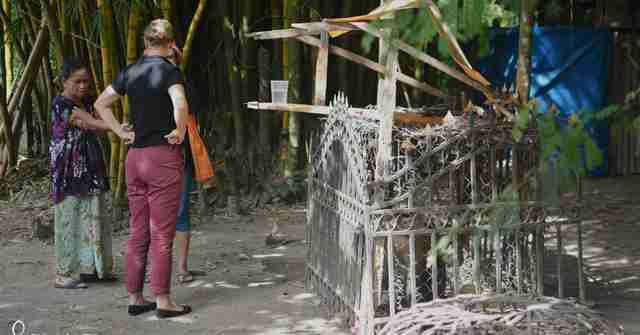 Even though LWRC is short on funds at the moment, the group knew it couldn't turn down the opportunity to give Sii the home he always deserved - among other macaques. It's likely he hasn't seen another being like him since he was taken from the wild as a baby 12 years ago. 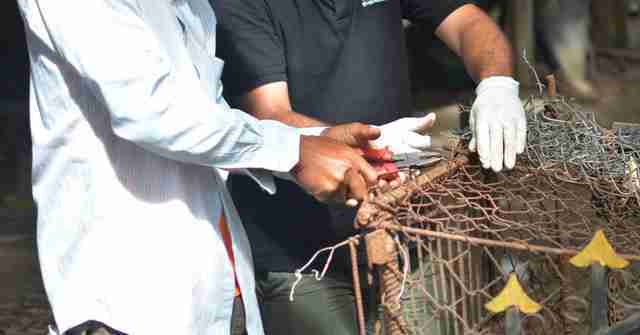 When rescuers cut the metal links of his cage, it was emotional for the family who had loved him as a pet. But they knew they had to let him go, so they said their tearful goodbyes. While he has a whole new life now, Sii still bears the marks of his life in captivity. He is blind in one eye and his teeth are rotten and broken. 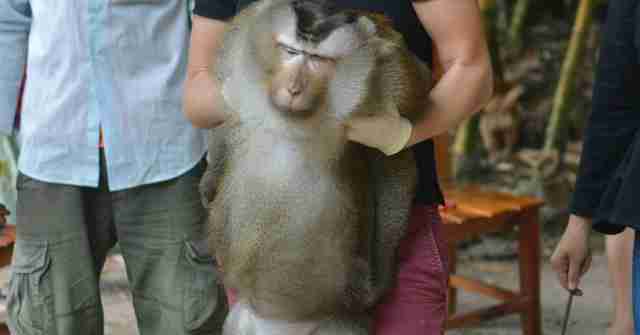 But his rescuers still call him "the gentle giant," since he's the largest macaque they've rescued. He was brought to the rescue center and given medical treatment, like dental surgery for his ravaged teeth. 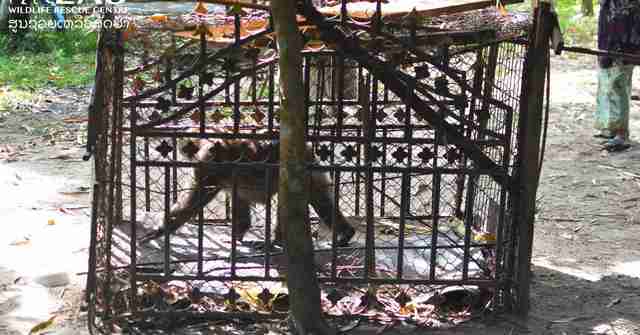 Other macaques who have suffered similar pasts have found sanctuary at LWRC, where they roam free in what the group calls its "primate fields." 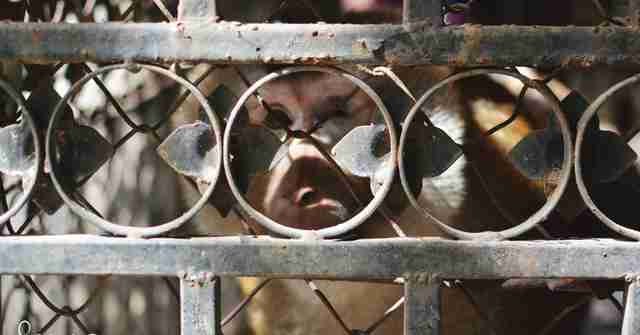 "We believe he has good chances to find himself in one of our primate fields soon enough," LWRC wrote. And when that happens, Sii won't have to be alone ever again. To help LWRC care for Sii and his new friends, click here.